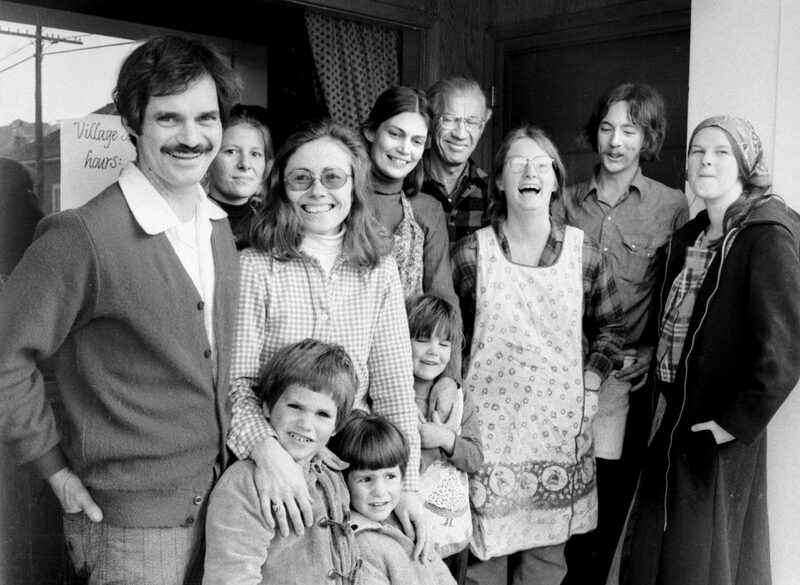 The original 1975 Smithy crew, with the Chacos family at front left. For 40 years, the Village Smithy has been an essential meeting place for longtime locals, transplants and visitors alike. It has held its own against a sumptuous variety of alternatives, not just in Carbondale, but up and down the Roaring Fork Valley. If two Carbondalians make plans for breakfast and neglect to specify a venue, there’s a fair chance both will end up at the Smithy. In short, it is everything Chris and Terry Chacos hoped for and more when they opened the doors on May 5, 1975. Chris, now 81, grew up in Coshocton, Ohio, where a handful of restaurants were the focal point of the Greek community. “I liked that feeling,” he recalled. He met Terry, now 71, at physical therapy school in Denver. She followed him to Vietnam where they worked at a Quaker hospital helping rehabilitate civilians scarred by the war and met Roaring Fork Valley icons Paul and Ginny Lappala. Chris and Terry were married in 1968 and soon had their first son, Eric, now 45. They moved to Aspen in 1970, and younger son, Charlie, now 43, was born there. In 1975, the Lappalas got the idea of opening a restaurant in the old smithy at Third and Main in Carbondae. Defunct as a forge since the 1950s, the building had done a stint as a woodworking shop and had most recently hosted the largest tropical fish store on the Western Slope. Carbondale, meanwhile, was a town of less than a thousand with dirt streets and full of “hippies and miners that mostly got along.” The main social hubs were The Black Nugget, Kenny’s Pharmacy and the Rebekah Lodge, but the town had no real sit down restaurants. The Lappalas reached out to the Chacos family to help change that, and Chris, who had caught the restaurant bug helping a friend and coworker open restaurant in Ouray, agreed. The menu was a little trickier. Brenda Jochems, the first cook, provided some recipes, Jerry Duckowitz contributed his french toast recipe, and the meal that dishwasher Pat McGurk made for himself every day later ended up on the menu. The salsa recipe is Terry’s own, and the raspberry jam comes from a woman in Montrose who has since enlarged her patch to keep up with demand. “It was very much a community effort,” Chris recalled. The origin of Smithy’s signature huevos rancheros, which does away with the standard beans, is harder to pin down. “We just kept it simple,” Chris said. The very first breakfast served was even more simple than expected. The fire sprinklers came on the night before, and all they could offer was coffee and toast. “It was like launching a ship and breaking a bottle of champagne,” Chris chuckled. Within a few years, the Village Smithy was a major hit. One year, during Mountain Fair, it overtaxed the electrical system trying to meet demand. In 1980, they added a new kitchen and entryway to the existing brick building. The same year, the Smithy II debuted in Glenwood Springs, leaving Terry managing one store and doing the books for both. They later sold the Glenwood location, which closed after the oil shale bust. Meanwhile, Eric and Chris grew up watching the grill and snacking on fresh french fries. “The kids owned the town back then, because everybody was busy at the mine or up valley working,” Eric recalled. Eric worked as a dishwasher and a busboy for a while, before he discovered he liked mowing the lawn more than working inside. He went on to get an environmental biology degree in Durango and took to construction, helping to construct a new deck in 1999. Charlie, meanwhile, discovered a passion for food. “I was fascinated by watching those guys cook,” he said. As soon as he could drive, he went to work in at restaurants in Aspen. While working on his business degree in Boulder, he worked at the Walnut Brewery. In 1998, after contemplating selling the business, Chris and Terry offered it their son. Charlie, returning from Boulder with his future wife, found that running a restaurant was 20 percent what he learned in school and 80 percent people skills. “I went from bartender and server to owner and kinda skipped a few steps,” he said. Still, he brought some new ideas to the tried and true formula. A few years after taking over, he attended the national coffee conference, and coffee sales have grown 10 times since then. “It definitely changed the game,” he said. He later opened Bonfire Coffee just down the street. In 2007, he brought in Carbondale native Jared Ettelson as general manager and partner. “It was just the perfect match,” he said of Ettelson’s restaurant experience and local touch. Charlie credited the community with the Smithy’s tremendous success. “We couldn’t have been here without quality employees and customers,” he said. “You did the hard work,” Charlie observed. “I didn’t know any better,” Chris responded.